The 23rd Winter Olympics are underway in Pyeongchang, South Korea after the opening ceremony on Friday. Whilst Team GB are yet to appear on the medals table there is something for the LGBT community worldwide to celebrate. 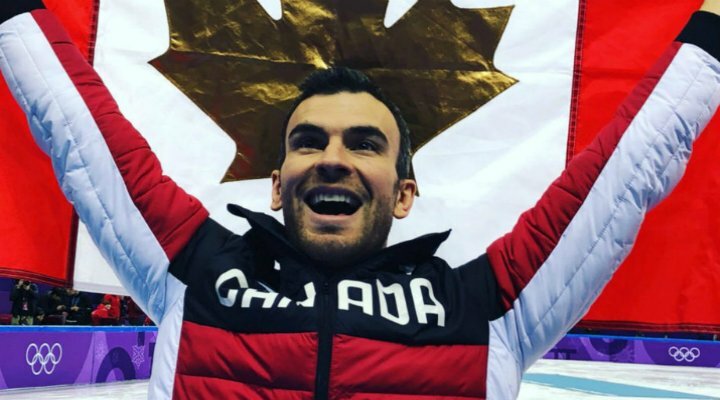 History has been made in the Team Figure Skating event which saw Team Canada’s Eric Radford (33) become the first openly gay athlete to win Gold at a Winter Olympics, upgrading his silver medal from Sochi four years ago. 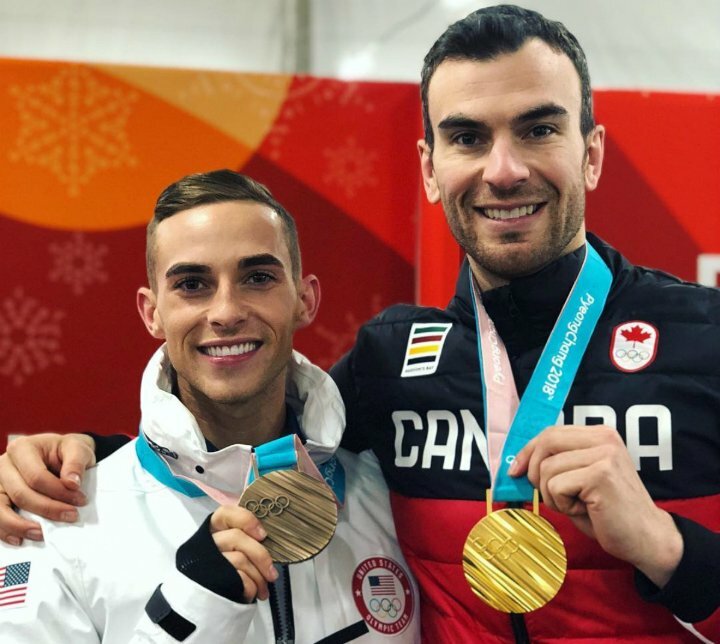 Furthermore Radford was joined on the podium by fellow gay athlete and first time Olympian Adam Rippon (28) of Team USA who took bronze. The team event comprises eight events with a mix of pairs and individual shorts, and free skates and dances. Team Canada was made up of Patrick Chan (Men’s), Kaetlyn Osmond (Ladies Ice Dancing), Gabrielle Daleman (Ladies Ice Dancing), Megan Dunhamel and Eric Radford (Pairs), Tessa Virtue and Scott Moir (Ice Dancing). Team USA comprised of Nathan Chen (Men’s Short), Adam Rippon (Men’s Ice Dancing), Bradle Tennel (Ladies Ice Dancing), Mirai Nagasu (Ladies Ice Dancing), Alexa Schimeca Knierim and Chris Knierim (Pairs), Maia Shibutani and Alex Shibutani (Ice Dancing). Radford and Dunhamel danced to Adele’s ‘Hometown Glory’ and scored 148.51 points. Rippon performed to Coldplay’s ‘O’ and ‘Arrival of the Birds’ by Cinematic Orchestra, and scored 172.98. Team Canada scored a total 73 points with the Olympic Athletes of Russia (the team of Russian athletes cleared to participate under the Olympic flag following Russia’s ban from the games due to the state-wide doping scandal which arose before the Summer Olympics in Rio) taking the silver with 66 points and Team USA scoring 62 points. Radford came out following his 2014 silver win and got engaged to his partner, Spanish ie dancer Luis Fenero, eight months ago. Radford joins Australian diver Matthew Mitcham who became the first openly gay athlete to win a gold medal at the Summer Olympics in Beijing 2008. Radford will return with his partner Megan Duhamel for the pairs qualification on 14 February with the final scheduled for 15 February. Rippon returns for the men’s single skating event on Friday 16 February with the final on Saturday 17 February and he has his sights firmly set on gold.